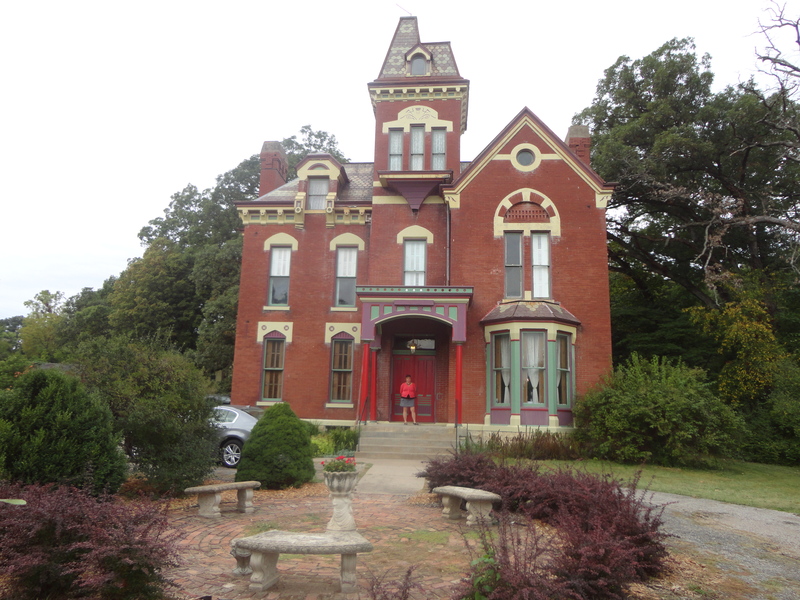 So, last week I missed out going to the historic town of Petersburg with my mom and sister who ate at The Oaks, a beautiful Italianate Victorian mansion located high on a hill. After missing out on the shopping/dining extravaganza, when my husband and I set out for the Spoon River Drive this past weekend and I knew we were heading toward Petersburg, I pleaded to stop and check out lunch at the Oaks. Thankfully once seated in the elegant dining area we, at the time, the only patrons, were notified that the soup of the day was corn chowder and “thank you Lord”, Lobster Bisque soup! With a shared strawberry spinach salad and a melt in your mouth crab cake, we enjoyed dining in the splendor of the 1875 home that is outfitted with walnut trim, and the owner said a limestone foundation. The history of the house has political connections. The home was built by Senator Edward Laning, his wife Olivia, and they lived in the home with their children, Martha and John. The house was beautifully crafted by John Carver, who is credited with building many fine homes in Petersburg. The owner told us that the home features a three-story walnut staircase, seven fireplaces, unique plasterwork and we could see for ourselves from our seat in the dining room, the original interior shutters. The Oaks is now serving lunch Tuesday through Saturday 11 am – 2 pm. Located at 510 West Sheridan Rd, Petersburg, IL 62675, call (217) 632-5444 or 888-724-6257 for details.